Little Caesars is a large pizza franchise started by Michael and Marian Ilitch on May 8, 1959. The company began franchising in 1962. In 2004, the company added "Hot and Ready Pizzas" at a fixed low price. These pizza's have since become a primary focus of the chain. The chain has over five thousand stores. 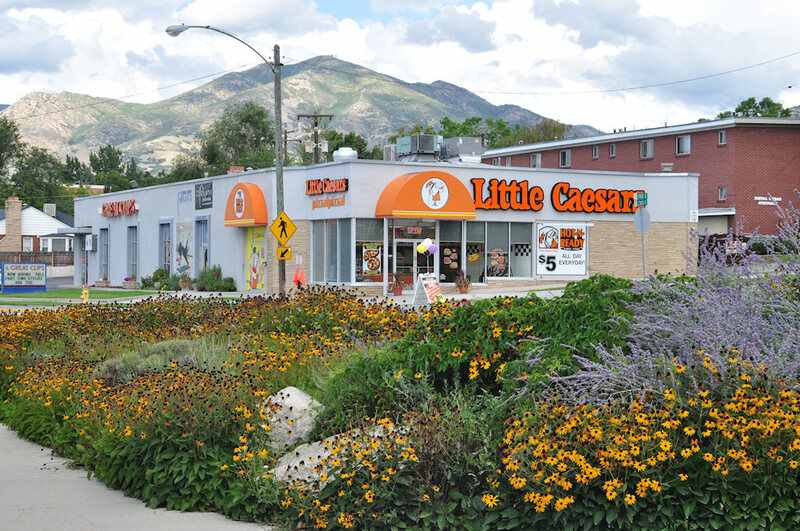 The stores often air pizza commercials with little caricature of Caesar holding a spear with two pizzas saying: "Pizza, Pizza" to emphasize that you can get two Little Caesars Pizzas for the price of one pizza at the other shop. The video talks about the company's history. I purchased $5 pizzas from the building below in Salt Lake City. The pizza was on the rack so I didn't have to wait.